Under the Health and Safety (First Aid) Regulations 1981 (as amended 1997) employers have a legal obligation to assess and introduce first aid provisions. Any such provisions should be easy to locate our range of first aid safety signs help to identify key first aid equipment and personnel. 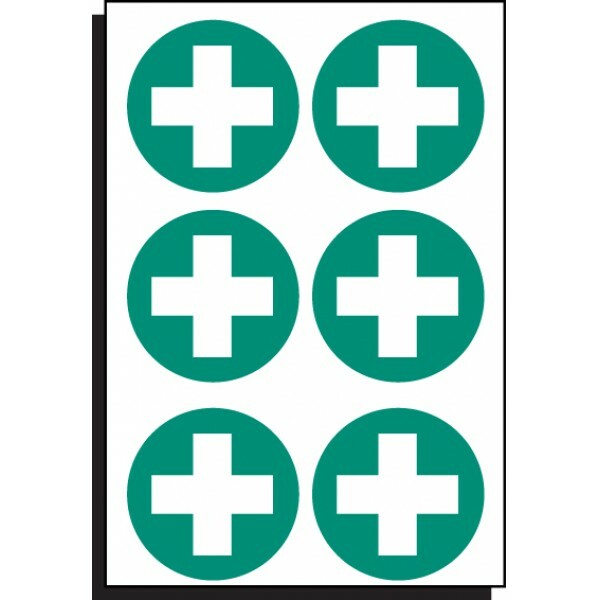 This particular first aid sticker can be used to highlight first aid personnel. Apply to inside of a vehicle window so that people looking in can identify that a first aid kit is available inside. Miscellaneous Products / MaterialsAny product outside of our standard choice of ma.. Under the Health and Safety (First Aid) Regulations 1981 (as amended 1997) employers have a legal obligation to assess and introduce first aid provisions. Any such provisions should be easy to locate ..